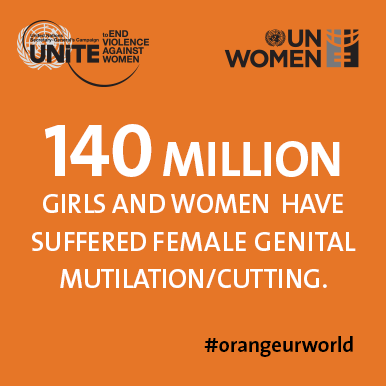 Female Genital Mutilation (FGM):The World Health Organization defines FGM as any procedure that involves partial or total removal of the external female genitalia, or other injury to the female genital organs for non-surgical reasons. Female Genital Mutilation and Female Genital Cutting (FGC) is a global problem. FGM-A ritual of agony provides an in-depth look at how this procedure affects the lives of women and girls. If you are not aware of the facts about FGM and FGC, please take the time to educate yourself about what these procedures do to women and girl's bodies. There are organizations that work on ending Female Genital Mutilation. Please take the time to visit one of the organizational websites and see what type of work is being done to help put an end to this human rights violation. Then consider if you can donate some portion of your time and resources to help in the fight to end this practice.